There is a potentially limitless number of reasons for you to fear an attack on your assets. Depending on your circumstances you might be concerned about divorce proceedings, a tax liability, or the hands of creditors. There are several important principles to remember when approaching asset protection. These should help to guide you through the murky waters, regardless of your circumstances. If you are worried about your assets being attacked after your death, for example as a result of a potential Inheritance Tax (IHT) liability, it is vital that you make sure your will is watertight. This is potentially the most important document available to you when it comes to protection from IHT. Remember that your will may come under legal scrutiny, and it is therefore vital that it is correctly drafted. 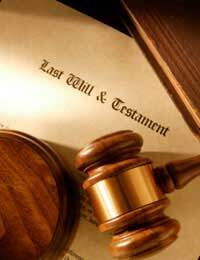 Make sure that you draw your will up with the help of a solicitor to help ensure legal validity. A trust can be a useful tool for asset protection. There is a wide range of trust types available. Your circumstances will dictate which type is suitable; for example, you would choose a specific trust type if you were concerned about protecting your assets from Inheritance Tax, but you would make a different choice if you wanted to protect them from divorce proceedings. Trusts are complex legal instruments. It is vital that you seek legal advice before making the leap into this area of the law. It is often sensible to divide assets into types. This is particularly important if you are worried about separating your business liabilities from your personal assets. So, many asset protection practitioners would suggest that, for example, a business should not be owned by the same individual as your home. If you run a business you should also ensure that you make full use of the legal protection offered by a limited company structure. Depending on the nature of your circumstances, you may want to keep quiet about your assets. If you think you are at risk of being sued, or your assets attacked, you will only exacerbate this risk by shouting about how much cash you have in the bank. Many high net worth individuals find themselves the target of spurious lawsuits. You can minimise the potential for this sort of event by remaining discrete about your wealth. A good lawyer is easily the most important tool available to you. It is particularly important that you find a lawyer who you trust if you are concerned about the prospect of an attack on your assets. You may wish to think of your lawyer in the same terms as your family doctor; ideally, they should be an individual who remains with you throughout your career, and who understands your needs and the nature of your circumstances. A good lawyer really is the best investment you can make when it comes to asset protection. Finally, it is vital to remember that asset protection is a particularly complex legal area. You should make sure that you seek advice before taking any action.